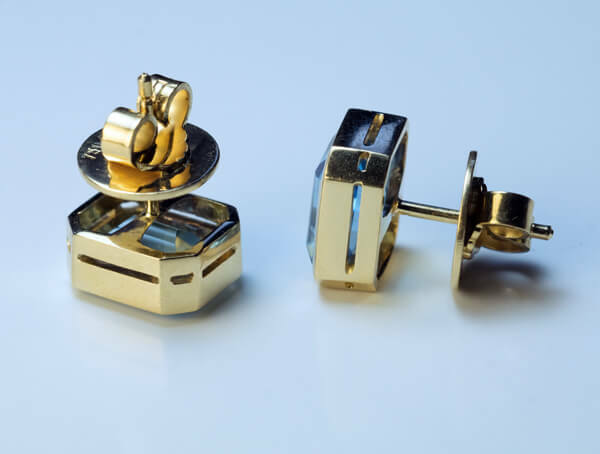 A pair of mid-century 18K gold stud earrings bezel-set with emerald-cut sparkling aquamarines. 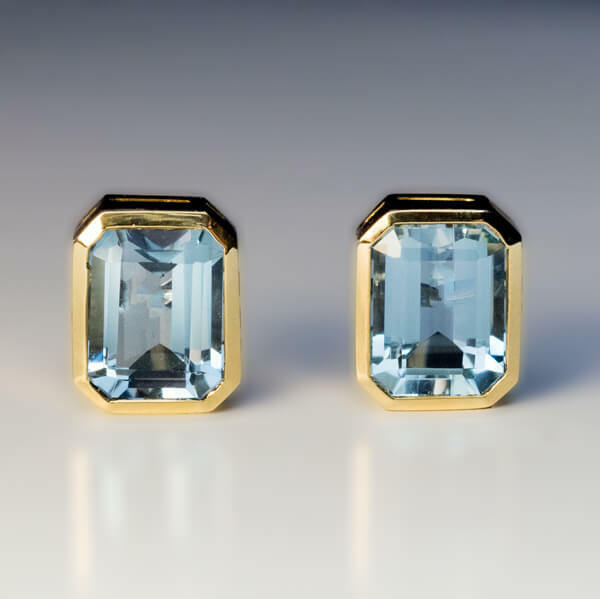 The aquamarines measure 9 x 7.2 x 4.6 mm, approximately 2.04 ct and 9 x 7.4 x 4.4 mm, approximately 2.01 ct. 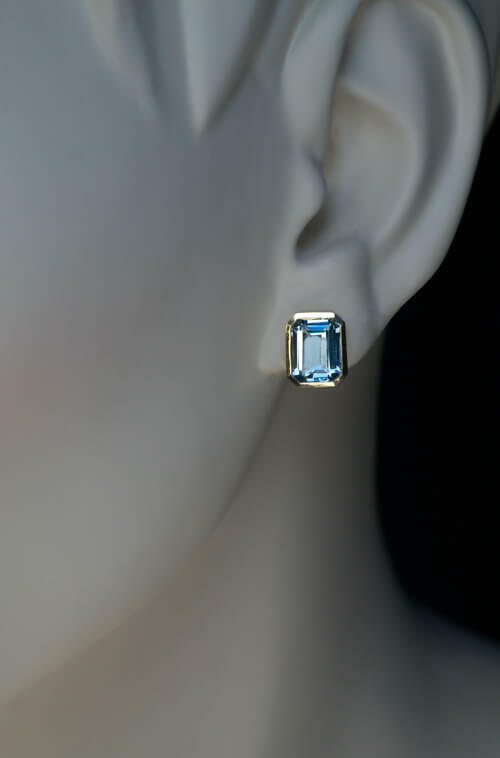 Estimated total aquamarine weight is 4.05 ct.